When I’m in London I work in my studio in Brixton Market, which is great for hiding away, and concentrating. I also really like writing on trains. I had to travel to research my first two books, and there’s nothing like being on a long-distance train to focus the mind and get the creative juices flowing. What’s the last really good book you read? Hmm… I read a lot and come across many books curating the Brixton BookJam. Recent standouts include The Cardinal’s Man by Merlin Sinclair, Tim Pears’ West Country Trilogy and The Unseeing by Anna Mazzola. I don’t think I could name a single book that marked me. I grew up without TV, in a house with lots of books, but almost none aimed at children. There were the Narnia Books by C. S. Lewis and many esoteric philosophical texts by writers like Gurdjieff. I also scared myself silly reading Bram Stoker under the covers aged nine. As a teenager discovering Kundera, Nabokov, Konrad and Dostoevsky was revelatory. Also Clive James and a lot of sci-fi! I always carry a notebook and hand-write chapters of the book I’m working on. Then I type them up in the studio when I’ve got a good chunk that feels like it’s ready to go into the manuscript. The same for editing – print it out and mark it up, then back to the computer to put in any changes. Yes, frequently, if they’re good. In fact I’ve returned to some of my favourite books seven or eight times. Foucault’s Pendulum by Umberto Eco and Stand on Zanzibar by John Brunner are two books that give new insights every time they’re read. Conversely, I used to finish every book that I’d started. Now I don’t bother if I really hate a book. I stopped reading A Little Life by Hanya Yanagihara, because she was so relentlessly sadistic towards her characters. Why this is hell, nor am I out of it. I’m a regular library user, partly because I’ve got kids who love to read and it’s the only way I can keep up with their appetite for new books. We are very lucky to have dedicated librarians that run many bookish events as well as making sure our library is well stocked. The value of a library in supporting local communities cannot be overstated. I’m pretty honest about what I have and haven’t read… life is short, and if you don’t get on with a book, then there’s often no point persisting with it. I’ve read Ulysses twice, but only bothered with 50 pages of Finnegans Wake. I don’t like Dickens! 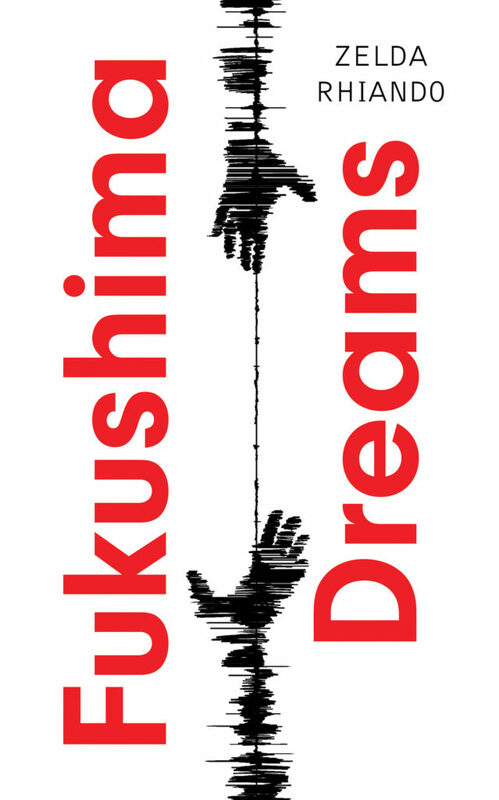 Fukushima Dreams, which was published in March, is set in Japan. It tells the story of the 2011 tsunami, two very flawed parents, and a missing child. It has been described as a revenge tragedy and also a meditation on grief, and is in all good bookshops! Zelda Rhiando is a Dublin writer who has spent most of her life in London. Her first novel, Caposcripti was self-published in 2012, and went on to win the Kidwell eBook award. She travelled to Japan to research her second novel, Fukushima Dreams, and is currently working on a third, Good Morning Mr Magpie. She is a founder of the Brixton BookJam, the quarterly literary event that has hosted readings by established and emerging writers since 2012. 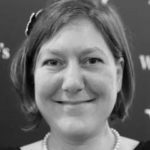 She regularly reads her work at book events and festivals and has been featured on Radio 4 and BBC London.